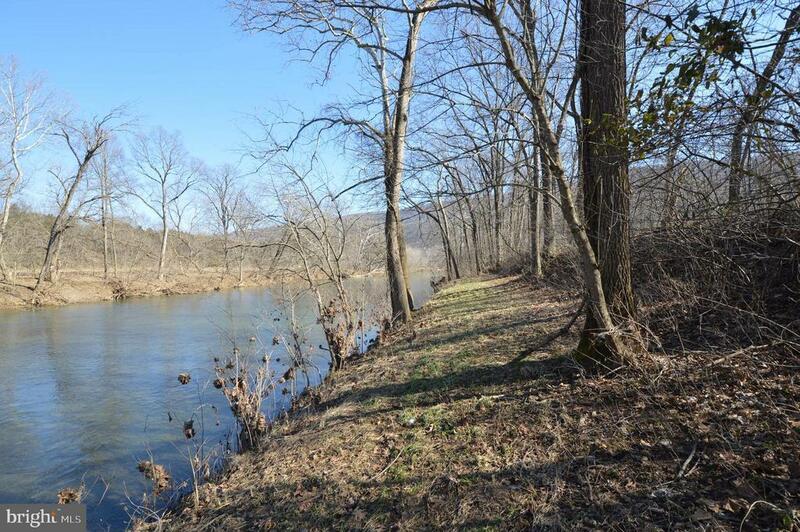 Very desirable 4.6 acres with 270 of frontage on the Shenandoah River includes Older 1 room Log cabin that has been gutted. Septic and Town water served the cabin. Just 250 from the new Seven Bends State Park (900 +/- acres along the river and National Forest). Property consists of 2 parcels, .58 acres with cabin identified as 2044 South Hollingsworth Rd. Woodstock and across the road 4.1 acres which has river frontage. The 4.1 acres is in Flood Plain and is level, lightly wooded and easy access down into to the river. Great camping setting. Kayak, canoe or tube down to the new takeout spot scheduled at the Lupton Road access to the Park. Views of Mountain and River. Walking distance to Muse Vineyards.! !